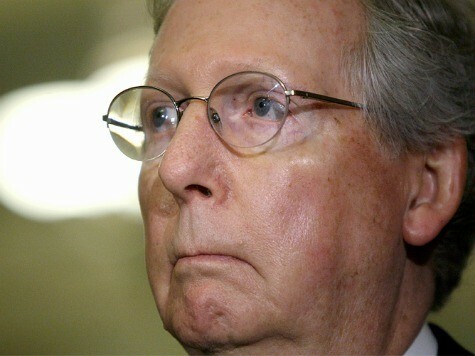 The replacement for Attorney General Eric Holder must oppose President Barack Obama’s planned executive amnesty and other executive overreaches, Senate Minority Leader Mitch McConnell (R-KY) told Breitbart News on Tuesday evening. As attorney general, Eric Holder too often put political and ideological commitments ahead of the rule of law. That’s not something the American people expect in the nation’s highest law-enforcement official, and it’s something Mr. Holder’s replacement should commit to avoiding at all costs as a condition of his or her confirmation — whether it relates to the President’s acting unilaterally on immigration or anything else. McConnell’s comment comes in the wake of Sen. Rand Paul (R-KY), his Kentucky colleague, backing Senate Budget Committee ranking member Sen. Jeff Sessions (R-AL) on this matter. I think the attorney general should, whoever the nominee is, acknowledge that they will operate independent of politics, independent of the president and under the direction of the Constitution. The Constitution really doesn’t allow the president to legislate. It’s a host of issues; I wouldn’t limit it to just immigration. Whether it’s immigration, health care, or war, those are congressional powers. But really with the whole separation of powers, he’s had a whole host of executive orders that appear to be legislating and appear to be illegal. So yeah, I think those are important questions to ask the next attorney general. The question I think is whether it comes up in lame duck session where they have the majority, or whether it comes up in January when, hopefully, the Republicans have the majority. Sessions said late last week, the day after Holder announced his forthcoming resignation, that Obama’s nominee for his replacement must oppose the President’s planned executive amnesty or no senator should vote to confirm the replacement.